Thanks for this… I definitely will not make that mistake again (buying BTC from my bank account). I will probably try just walking to a local branch of a bank, depositing cash into the account of a seller from localbitcoin, and acquiring the BTC in that fashion. Then go home & transfer to my forex account. I went out for a little recon at the bank branch today & that should not be a problem. Just exploring. Poking my head down some different roads. Emphasis on “poking” – using small deposits, to see how different methods work, and being aware of what’s available. Remember, I don’t get that instant transfer from Coinbase for some reason. But I’ve already made the deposits, so when funds become available, I will follow your procedure & see how it goes. The more I think about it, the more likely I am to try the bank deposit/BTC purchase method. I was working a few months ago, getting paid cash in my hand each month, in local currency, with no way to get those funds to my forex account (or any account). So it’s worth it to see what’s available. I am physically offshore, without a local bank account (because I’m not a resident), so I need to know my options. "This email is to inform you that from Sunday 30th of September, we will be changing the time on our MetaTrader 4 servers from GMT +0 to GMT +3. Over the years, we have received numerous requests to make this change as this makes our servers more EA friendly. Furthermore, GMT+3, is an "internationally recognized end-of-day time” in the forex markets. Once this change is instituted, you will see 5 daily candles per week making the platform more EA friendly. Please note that this change will only effect the time displayed on MT4 terminal and there will be no change in actual trading hours. The trading hours will remain the same as per your time zone like usual. If you are a manual trader, you can safely ignore this email, however, if you are using EAs for trading you might need to make some adjustment from the current time of GMT +0 to GMT +3. Please reach out to our client support team via live chat or via email if you have any questions. " I personally tried to transfer the funds to pro coinbase on the third ach during the 7 days holding for him on his account, but obviously it cannot until after the holding time frame. My guess is this is your first ach, I could be wrong if so my apologies. Second ach and so on could decrease holding time if you still continue keep this as an option. I agree with SmallPaul and thanks him for bringing this up. Pro coinbase is fantastic for buying, selling and sending cryptos with little or no fees if do limit order. Hey, thanks for these details. You, small paul & Mr Invisible have helped a lot with figuring this out. I’ve made my first 3 small deposits to coinbase, just above the minimum. The first was buying BTC directly from my bank account, which was costly, and the funds have a 32 day wait. The second was to coinbase pro, in USD, with an 8 day wait, but no cost. The third was coinbase (regular) in USD, with another 32 days of waiting, but no cost. I don’t like it either. I put my computer on UTC 9 years ago when traveling from HKG to BUE, and never looked back. Markets use UTC, and so does tradingview, my chosen charting service. 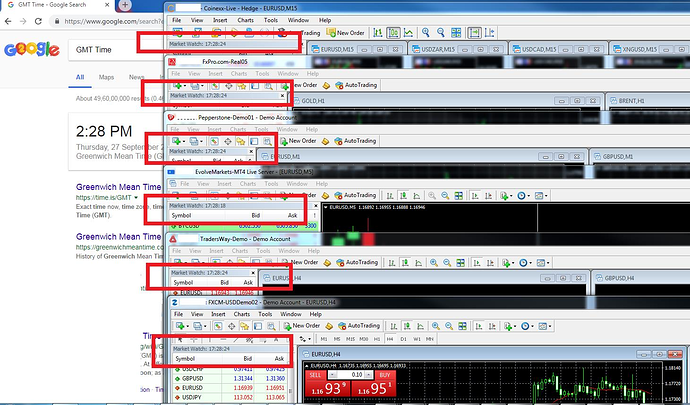 I have seen some other charting services that have 6 daily candles in a week. Seems like finpro et al are trying to compensate for inferior charting capabilities… and now it all becomes clear: Look at your MT4 chart’s daily candles – there’s a small candle for Sep 23. No such candle appears on my tradingview daily charts, however. I wonder why they don’t fix the charts, instead of using a time zone very few traders use, care about, or relate to??? … tech doesn’t solve everything, but it does solve some things. It’s the modern equivalent of Maslow’s hammer. this has never happen to me, i don’t know why. Your “Available Balance” is how much you can withdraw or send immediately. After depositing funds directly from your bank account (not including wire transfers or debit cards), you will be able to immediately buy digital assets using your USD wallet. However, deposited funds are placed under an initial hold before you can take them out of Coinbase. You will not be able to withdraw these funds to your bank, or send digital assets you purchased using them, until your deposit has cleared from your bank. What does funds on hold mean? “Funds on Hold” are funds you have recently used to purchase digital assets but have not cleared and been deposited into your Coinbase account. Until your pending funds clear from your bank, you cannot withdraw them from Coinbase, or send any digital assets that you purchased using pending funds. How long does it typically take for pending funds to clear? Pending funds typically take about 5 business days to clear. Please note that Coinbase cannot manually clear your funds. Clearing times are subject to increase based on account type and activity. @hyperscalper long time coming & a very welcome change indeed. had been waiting for finpro to move to NY time like most brokers. Using an EA on offset 0 bugged me a lot as well! Yes that because there is server offset to 0 you ought to have a small candle for those 3 hours totaling the days candles to 6. This is a standard chart pattern with MT4s and MT5s when the broker offset is 0. Was with exness previously, they also had a 6 daily candles therefore transitioning to finpro wasn’t a big problem. Yea like FXPro, Pepperstone, Evolve Markets, tradersway, fxcm and many more. Its an industry “favourite”, internationally recognized server time offset that more than half of the world’s forex brokers follow. Glad to see these brokers finally joined the bandwagon. near 1000-1500 msecs to confirm execution. Sorry to be a bone-head… does this mean turnkey’s close is 5 0’clock EST? I’m embarassed to ask… I grabbed my dunce cap this morning. 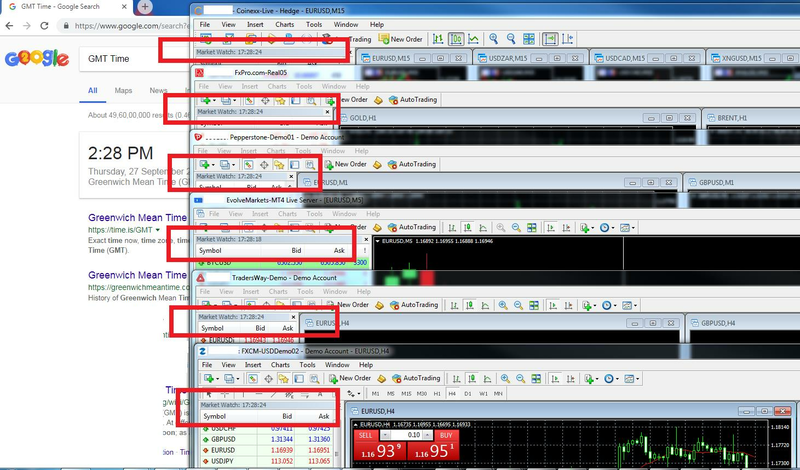 To my fellow ex-JForex clients, I have started to work with MQL5 and found the function “OnBookEvent” interesting. Could it replace some of the Market Depth functionality we lost when JForex was no longer available to US citizens? It’s too soon for me to say how useful it is yet, but it looks promising. The list on this thread shows several ECN brokers. I am wondering if looking at an aggregate of their feeds would give some visibility into large orders before price moves. Thanks all for maintaining this thread. It has been very helpful over the years. I don’t know, but I doubt it. I’d say I might be "the DOM Meister"
so let us know what you’ve discovered. possible price level, or 2) using size analyzers sensitive to a "delta"
In HyperScalper’s quote, above, the sentence I have highlighted is poorly worded. GMT+3 is not a time. GMT+3 is a time-zone. Apparently, Finpro means that midnight in the GMT+3 time-zone is recognized as “end of day” in the forex market. And this is true for one-half of the year, specifically the northern hemisphere summer months. There’s nothing bone-headed about it. Time-zones are complicated and confusing. Throw daylight saving time changeovers into the mix every 6 months, and you have a bloody mess. 5 pm New York time is recognized as “end of day” in the forex market, because it marks the lull in trading each day, when the Asian, European, UK, and North American forex markets are “closed”, and only the Pacific markets (New Zealand and Australia) are “open”. It is as close as our market comes to being “closed for the day” between Monday and Friday. Only on the weekend, from 5 pm Friday until 5 pm Sunday, is the market actually “closed”. Finpro’s new “end of day” time – midnight GMT+3 – will match 5 pm New York time from early March until early November each year. But, between early November and early March, when Europe, the UK, and North America are all on standard time, the actual “end of day” at 5 pm New York time will be 1 am GMT+3 (not midnight GMT+3). To say that a different way, during northern hemisphere winter, Finpro’s end-of-day time will correspond to 4 pm New York time. A much more sensible change to the Finpro server time would be: GMT+2 with a shift to daylight saving time during northern hemisphere summer. This would mean, in effect, that Finpro server time would be GMT+2 from November until March, and GMT+3 from March until November. That way, throughout the year, Midnight on the Finpro servers would be 5 pm New York time. We’ll have to watch what happens in a few weeks, when the world’s three largest forex markets go off of daylight saving time and return to standard time. which can draw vertical bars so that the rightmost "candle"
GMT, in my opinion, to designate all times in Forex. since I work from Amsterdam !